The story has a few plot holes and pacing issues, but overall, the emotional impact of the story telling makes this film a must watch. The story may feel familiar if you’ve watched Disney’s the Little Mermaid, or another Chinese animation from the 90s, Chinese Ghost Story. 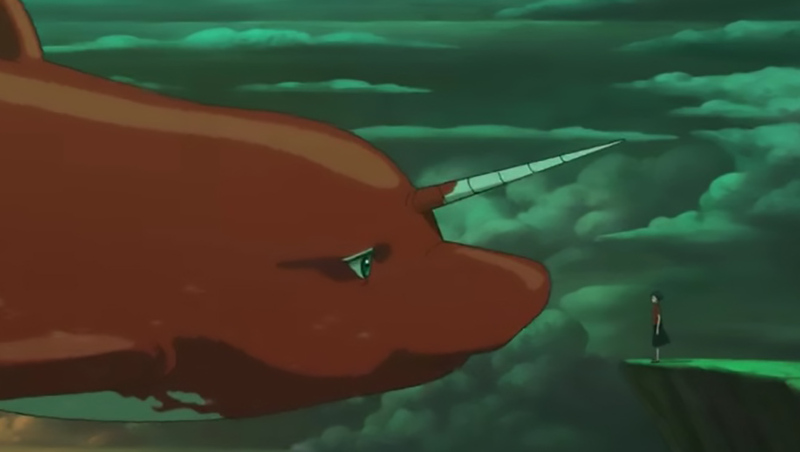 Despite the similar concepts, Big Fish & Begonia still manages to add its own unique twists and takes on concepts of forbidden love and reincarnation. Geeky: 5/5 – The production values are top notch. 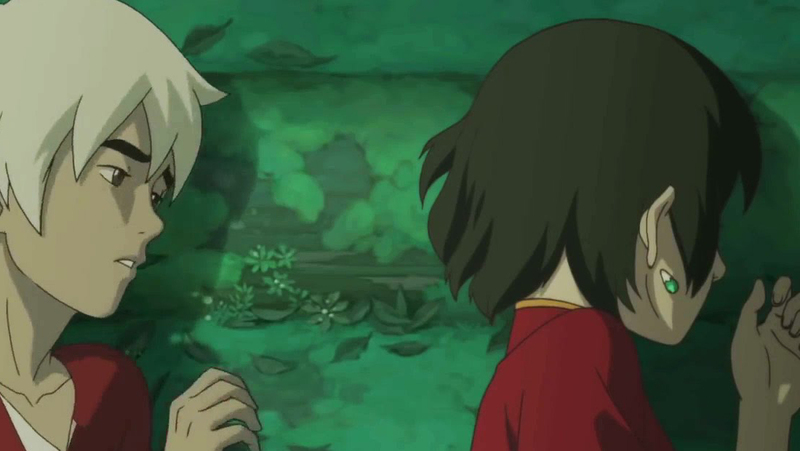 The quality of the animation, music, and acting are all on PAR with Disney or Studio Ghibli. Many consider this film to be the “dawn of animation” in China. It took 12 years to complete, and the level of dedication, time, care, and skill that went into making this film really shows. Sweetie: 4/5 – I did decide to deduct one point for a few major plot holes and pacing issues. However, the themes of love (often times unrequited), life, death, and reincarnation make this film very “sweet” indeed. I was not expecting to cry as much as I did by the end! Concept: 10/10 I am in love with the concept behind this film. I am a huge fan of Chinese Ghost Story and also the Little Mermaid. I even prefer the old 80s Japanese version of the Little Mermaid over the Disney one (blasphemous, I know, right?). Don’t get me wrong, I love Disney’s Little Mermaid too. But the reason I love the non-Disney version so much is because of how sad it is. In the end, the prince marries another girl. The Little Mermaid’s sisters come to her with a poisoned dagger. If she chooses to kill the prince and his new bride, she can return back home with her family. However, the Little Mermaid only wishes for the prince’s happiness and cannot bring herself to harm him because she is so in love with him. As the sun rises, per her agreement with the Sea Witch, the Little Mermaid turns into sea foam and dies. I know this sounds horrible to some people who always insist on watching movies with a happy ending, but I’ve always loved tearjerkers, even as a child. There’s just something so touching and sweet about this tragic tale. It also happens to follow the original story more closely as well. 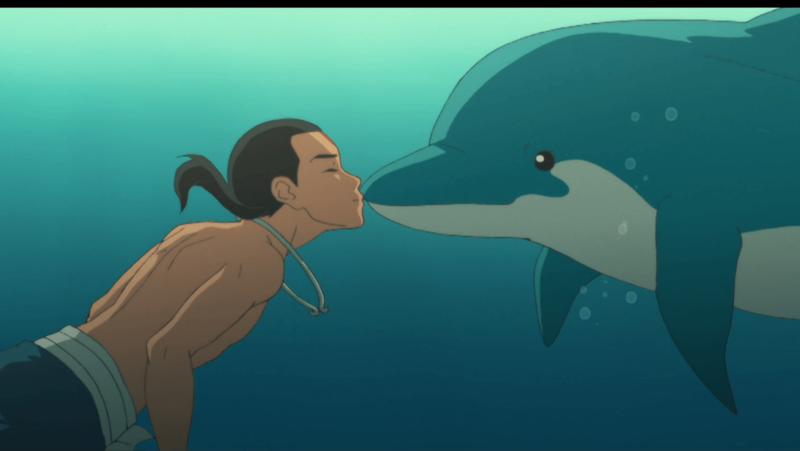 So if we combine that 80s Little Mermaid with Chinese Ghost Story, we get something very similar to Big Fish & Begonia. 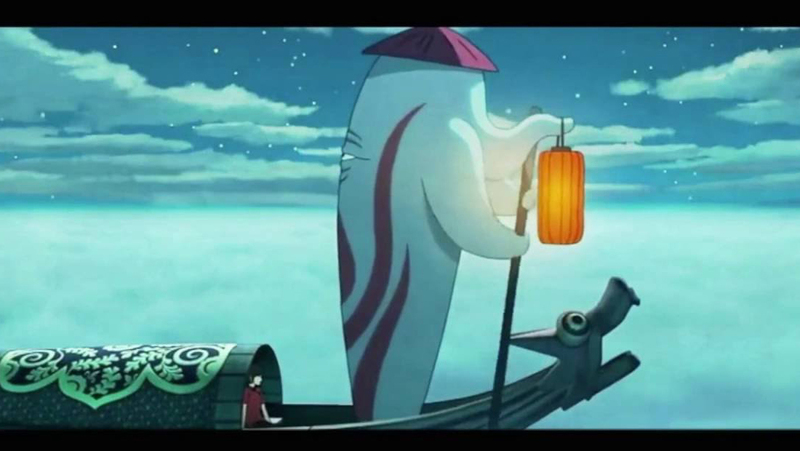 Chinese Ghost Story is another beautifully animated Chinese film. (The animation was done by a Japanese studio). The story involves a young man who finds himself lost in a literal “Ghost Town”. All of the city’s inhabitants are spirits who have passed over. There, he meets a beautiful woman who also happens to be a ghost. Eventually the two of them fall in love; however, the only way for them to be together is for both of them to reincarnate back on earth. 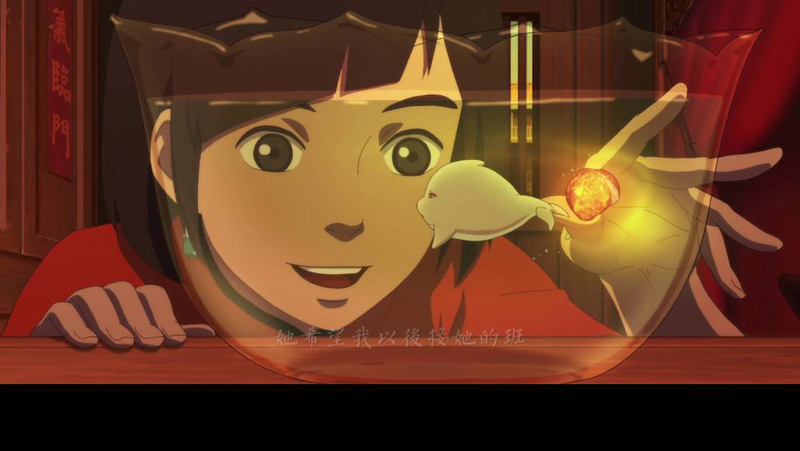 Story: 7/10 The story of Big Fish and Begonia revolves around Chun, a young girl who has just become an adult in her society. Chun is from a mystical world. The movie describes the world by having Chun narrate that they are not gods, nor humans, but “others”. In this mystical world, all adolescents become dolphins and journey to the human world for 7 days as a right of passage. During this time if they should come into contact with humans, they will not be allowed to return back to their own world. 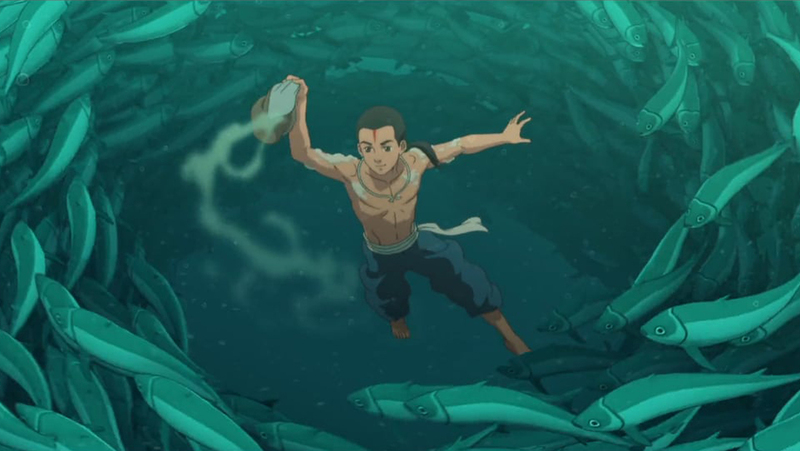 However, a sea squall occurs which traps Chun in a fisherman’s net on her last day on Earth. The past few days, she has spent observing the humans and their world, especially one young human who loves the sea. This human sees that Chun is trapped in the net and swims out to save her. Although he is able to free Chun from the fisherman’s net, he drowns in the storm. Chun tries to save him, but is only able to retrieve his ocarina. Chun can’t forget the young man or his grieving family even when she returns back to her own world. Chun discovers that there may be a way to revive the young boy and return him back to his world. She trades half of her life in exchange for his. In doing so, she also irreversibly links together their two souls. Should one of them perish, so shall they both. To complicate matters, his soul must remain a fish until returning back to the human world. In Chinese legends, there was a big fish who could fly through the skies. Thus Chun names him after the fish of legend, Kun. Many sad things happen along the way, but Chun resolves herself to complete her mission, even if it costs her her own life. As much as Chun cares for Kun, there’s another character who equally cares for Chun. He is her childhood friend named Qiu. With the same resolve that Chun takes to protect Kun, Qiu takes similar resolve to protect Chun, also willing if necessary to trade his life for hers. Overall, I really enjoyed the film and loved the concept and story. My complaint with the story is the introduction of minor characters halfway through. They abandon certain concepts they have introduced, and create inconsistencies and plot holes. Here are a few examples. 1.) In theory, Chun should not have even been able to return back to her world. Contact with humans was forbidden. Yes, her world begins to suffer, and everyone turns against her. But, when the film starts, her mother warns her not to let the humans see her and tells her that another girl just took the journey and was unable to return for breaking this rule. 2.) At one point, a villain will escape into the human world. (You’ll know what I’m referring to if you watch the movie). After escaping into the human world, we never see or hear from this villain again. You would think it had some motive for wanting to go into the human world and that some consequences may occur in the human world as the result of introduction of this character. We’re never shown exactly what those consequences are. 3.) When returning to the human world, all memories are supposed to be erased; however, that doesn’t seem to happen. There’s also the issue or significance of the necklace that Chun is wearing at the end, that I don’t recall being explained. It seems the creators want your attention to be called to the necklace from the swinging and shining animation and camera zoom and pan given to that scene. What significance exactly did the necklace hold? 4.) 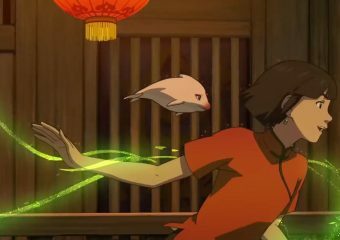 If you watch past the credits you see a scene with Qiu (possibly eluding to a sequel of some sort), and at the end of the credits you are told that the film is based on a Chinese legend about a brother (Qiu) who evoked an 8,000 year long autumn, and his sister, Chun, who evoked an 8,000 year long spring. Then we are led to believe that the Qiu and Chun in this film are the reincarnations of the ones in Chinese Legend. Chun even tells Qiu that she can’t love him because she thinks of him as her brother. When we look at their respective magical ability, Chun with her flowering and plant growing, and Qiu with his fruit growing/harvesting, this also reinforces the idea that they are brother and sister. Also while researching this, I discovered that Chun is the Chinese word for Spring, and Qiu, the Chinese word for Autumn. You can also do your own research into reading more about the Legend of Qiu and Chun. One such source that I found describes that they had an incestuous affair for many years, despite Chun later marrying for political reasons, and being separated by distance geographically. Despite the distance, their feelings for one another never diminished. The problem that I have with this theory is just simply that Chun doesn’t love Qiu in this film which seems to be a direct contradiction to the ancient legend. If it was based on this Chinese legend, it seems that she would have also had feelings for him as well as, or maybe even more than, her feelings for Kun. Qiu very clearly has those feelings for Chun as he tells her that his only regret is having not held her in his arms on their final night together. However, Chun seems to only regard Qiu as a good friend, and nothing more. 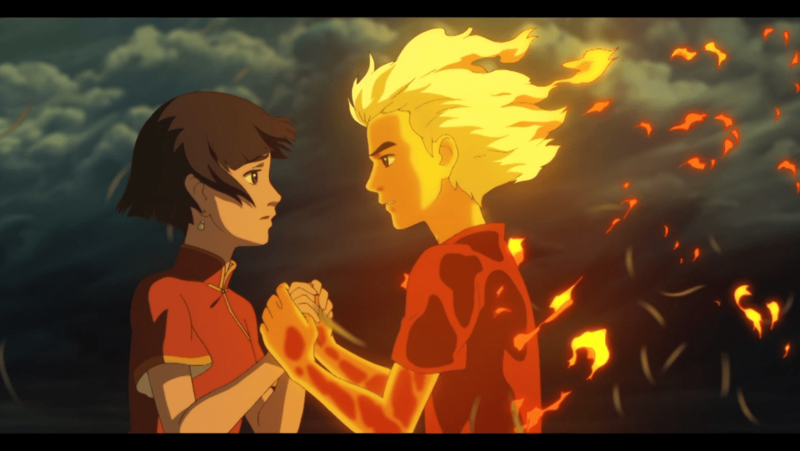 Despite the inconsistency that this creates, I have to say, Qiu is my favorite character, and that one line of dialog, and the scene of their final night together, and Qiu’s sacrifice for Chun, really is my favorite part of this movie. READ At Home or On the Go: Which Gaming Style is Most Popular? Characters: 8/10 Qiu makes this film for me. He begins as a bit of a child-like impish, practical jokester. By the end of the film, he has matured so much, and sacrifices so much as a result of his love and desire to protect Chun. Chun likewise grows as a character, with her resolve to protect Kun. She goes against her elders, her mother, the people of her village. She is shunned as a result of breaking the laws of her people. While it would be easy to harbor a grudge against the people who have cast her out of their tribe, she instead endeavors to help them when tragedy befalls their home. Chun also realizes what she was warned, that we cannot ever truly atone for our sins. As a result of helping Kun, other people begin to suffer. She realizes the weight and consequences of her actions; however, it is too late to change course. Qiu learns a similar lesson. He asks how to save and help Chun, but the answer he receives eats away at him. He asks a shopkeeper if he has anything that can make him forget his sadness. The shopkeeper offers him a drink, but he warns it will also take away his happiness. He learns that in order to have happiness, you must also experience sadness. The minor characters are also sources of wisdom and have a lot of heart, especially Chun’s grandparents who help her even after their own death. I did deduct 2 points because there are some characters that are forgotten and abandoned, and even Kun himself feels underdeveloped as a character. It was hard for me to like the relationship of Kun x Chun because so much more development had been put into Qiu compared to Kun. Animation: 5/5 This is one of the most beautifully animated films I have seen, not just from China, but from anywhere. It blends beautiful 2D and some nice 3D animation techniques. The fantasy world and characters are all unique and mesmerizing. 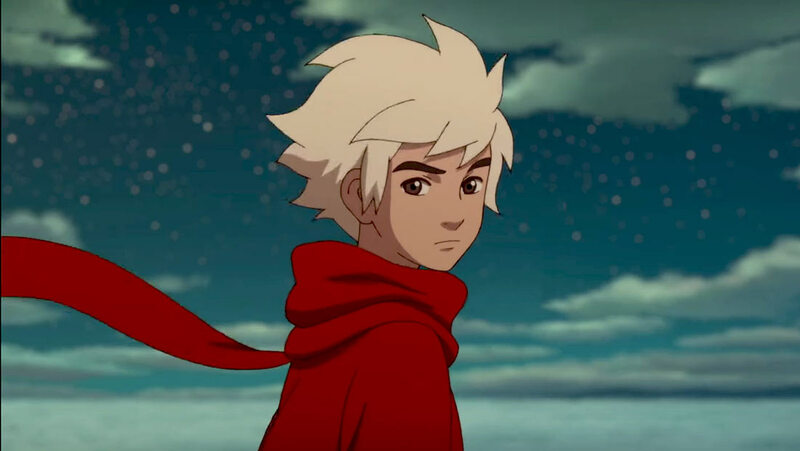 Voice Acting 5/5 Big Fish and Begonia is a very emotional film, and to pull that off, it makes use of talented voice actors who can capture and convey their feelings of love, guilt, grief, and despair. Music: 3/5 Music also has a Disney-ish feeling and helps tell the story. I especially liked the song during the ending credits. There a few Disney-ish feeling “song/dance” skits, which can sometimes detract from the mature and dark feeling of the film; these are brief, but not as well handled in my opinion as similar scenes in Chinese Ghost Story, which makes great use of music interludes to tell their story. 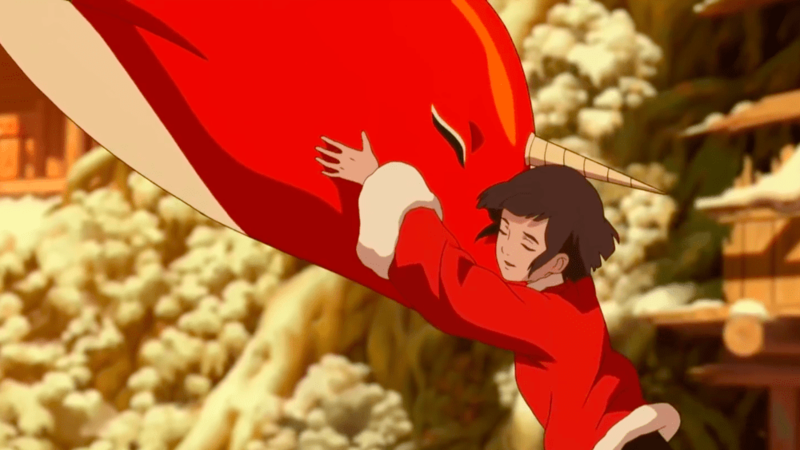 The music also doesn’t feel that memorable in Big Fish and Begonia, but it is overall, quite lovely.